Breathe new life into existing masonry or metal fireplaces with the smart and polished looking Amantii electric Insert-30-4226. Designed as an alternative for wood or gas inserts, this electric insert unit adds a modern and sophisticated look to any room. This medium sized insert is ideal for renovations, and is quick and simple to install. This unit comes with three colors of decorative media and an LED ember log set. • Approx. heating area – 400-500 sq. ft. Shipping Weight 73 lbs. - Glass Included. 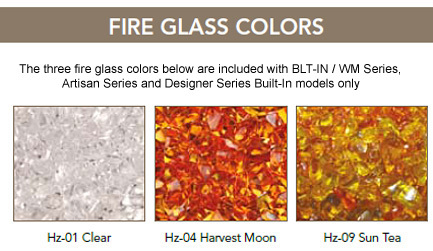 If you would like additional fire glass colors, the options above are also available to purchase.